An American mathematician who specialized in mathematical biology and numerical analysis, he is the inventor of the Householder transformation and of Householder's method. He received a BA in philosophy from the Northwestern University of Evanston, Illinois in 1925, and an MA, also in philosophy, from Cornell University in 1927. He taught mathematics while preparing for his PhD, which was awarded at the University of Chicago in 1937. His thesis dealt with the topic of the calculus of variations. He worked with several other researchers with Nicolas Rashevsky at the University of Chicago. In 1946, he joined the Mathematics Division of the Oak Ridge National Laboratory, where he was appointed chair in 1948; when his interests shifted toward numerical analysis. In 1969 he left ORNL to become Professor of Mathematics at the University of Tennessee, where he eventually became chairman. He retired in 1974. 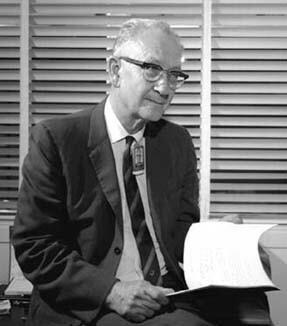 He was president of the American Mathematical Society, president of SIAM and of the Association for Computing Machinery, and a member of the redactional committees for Psychometrika, Numerische Mathematik, Linear Algebra and Its Applications. He was also editor in chief of the SIAM Journal on Numerical Analysis. He opened up his wide personal bibliography on numerical algebra in form of a KWIC index. He also organized the important Gatlinburg Conferences, which are still held under the name Householder Symposia.